Bernie and Mike did an exceptional job when we purchased our first home. They know the real estate market in San Francisco inside and out and helped guide us through the process seamlessly. Working with them made purchasing a home fun and exciting, and their extensive experience and knowledge made us feel that we were making the correct decisions at each step of the way; they were wonderful! We will use them as agents when we sell our current home and buy a new one, and we will recommend them to anyone asking for a realtor. They are truly outstanding at what they do! Having moved many times we thought we were fully prepared for our move to San Francisco. We quickly learned the housing market here is like no other, and most of the people we spoke to warned us we would not be able to find the type of house we wanted within our price range. Then we found Bernie and Mike. Initially, we were a bit worried Bernie and Mike would not be able live up to the numerous stellar recommendations we heard from various people, but that was absolutely not the case. As we ‘made the rounds’, going from open-house to open-house, it was extremely comforting to repeatedly hear ‘You’re working with Bernie and Mike? Oh, they’re the best’. Bernie and Mike not only took the time to give us a comprehensive tour of the city, but also reassured us throughout the process that we would find our perfect house. True to their word, we did. When my business partner and I needed a team to market two newly constructed San Francisco homes, we turned to Mike and Bernie who were referred to us by developers who had previously worked with them. Selling new construction requires a specific set of skills and knowledge. In our situation we wanted not only experienced marketing consultants, but also design consultants. Mike and Bernie have a great eye for design and selected all of the home’s interior and exterior finishes including cabinetry, counter tops, tile and paint colors. When the first home was offered for sale, our second home had not yet broken ground. The second home impeded the view of the first and our agents needed the ability to explain and sell the vision of both homes. Mike and Bernie handled the process expertly and helped us to secure solid and happy buyers. We are one month away from completing house #2 and once again Mike and Bernie have been invaluable assets to our team. They understand the process and work tirelessly to ensure that all aspects of disclosure are met. Their stamp can be seen throughout the project from the paint colors to the landscaping. These guys know what sells, how to best prepare a winning project and how to bring in the buyers. When it comes to new construction and development, Mike and Bernie continue to be our number one marketing and design experts. 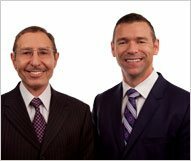 Bernie Katzmann and Mike Shaw at Vanguard Properties are very, very experienced and sophisticated at marketing and then negotiating the sale on personal residences. Their attention to detail as well their strategy to create anticipation and buzz was key to getting the final, extraordinary price. They should teach a master class on estate sales. I am writing to your agency to let you know how totally satisfied I am with the recent sale of my property located at 348 Church Street. Both Bernie Katzmann and his partner Mike Shaw were excellent realtors and the reason I keep coming back to Herth for my real estate transactions. Bernie has handled numerous past real estate transactions for me going back to 1995 when I purchased my first condominium. I subsequently used Bernie and Mike to handle several other property sales and acquisitions including my current home on Potrero Hill. The most current sale was the most satisfying experience. With only one open house we had 13 offers and we closed in less than one month. Now I know some of this success has to do with San Francisco local market conditions. But in any case agents have to know the market and its clients, and Bernie and Mike are the best in the business. In this case, Bernie and Mike guided me through an estate liquidation sale, minor home renovations, and the property sale in a two month time frame. I was amazed how smoothly it all went under their wise supervision. I continue to have intense loyalty to Bernie and Mike. They are truly two talented agents who understand both people and real estate. Bernie and Mike delivered exceptional service and achieved results far beyond our expectations. We were well supported and informed throughout all stages of the process and their deep knowledge, network, and “know-how” positioned us for a rapid, uncomplicated and high-return sale. We felt reassured in this rapidly evolving market, knowing Bernie and Mike had our priorities and objectives close at hand. They are a fantastic team and one which we will continue to call upon for all of our real-estate needs. Prior to my recent move I recognized that a new home purchase can be a stressful time and when I relocated to San Francisco I found myself in a market with few homes and many competing buyers. I quickly understood the need to work with agents who understood my preferences and priorities and who had the expertise to help me make quick, but informed, decisions about placing an offer to seal the deal. I found such strategic partners in Bernie Katzmann and Mike Shaw of Herth. From the first day we were introduced they sent tailor-made search results based on my criteria and never wasted my time with properties that would have been of no interest to me and they identified homes that were must-sees for me. I recognized that buying a home is a stressful time but when it came to making offers, Bernie and Mike gave great advice on how to navigate that stressful environment and position myself to seal the deal. Finally, because of their extensive network of professional and personal relationships, I was fortunate to find a fantastic home just as it hit the market. This gave me the competitive edge at a time when there were multiple bids coming in on the limited inventory of homes and we were able to strategically bid with a carefully structured offer. If it wasn’t for Bernie and Mike I would not now be living in my new dream home. Having the opportunity to work with Bernie and Mike to buy a house in San Francisco was a delight. As new residents of San Francisco, having relocated from New York, we worked with Bernie and Mike to find a new home in San Francisco. From the very beginning they were great at working with us. Before starting to look at properties they got to know us as a couple, what our needs, our likes and dislikes were and what types of areas we were considering. This initial work really helped to focus our search. Despite the market being competitive and the process being different from what we were used to Bernie and Mike really simplified the process walking us step by step through the search, offer, inspection and finally the purchase processes. They have great relationships with other brokers and are uniformly well known and respected which really helped in our search and purchase negotiations. Their network of reputable contractors allowed us to get thorough inspections done rapidly and his diligence in dealing with the mortgage side of the equation really made what could have been a complex and time consuming process manageable and straightforward. In addition, since we closed on the house, Bernie and Mike have stayed in contact and in fact have continued to be invaluable in providing names and contacts for contractors and other services as we make the house we bought our home. It is this type of service and attention to detail that make us more than happy to wholeheartedly recommend Bernie and Mike to any looking to purchase in the San Francisco area. My partner and I have worked with Bernie and Mike on three properties during last three years. They represented me as seller’s agent on the sale of my condo in April, 2011 and at the same time represented us on the purchase of the first condo we owned together. They were super responsive and made us feel as though we were their only clients. We were so impressed with Bernie and Mike that when we decided to relocate to a different neighborhood in 2012, we asked them to represent us again on both the sale and purchase. With their combined years of real estate experience and their tireless customer service, Bernie and Mike were able to get top dollar for both sales and made sure we got the properties we wanted. We are now finally settling into our new home, however, if we’re ever in the market again, we sure know who to call. Best realtors we’ve ever worked with…hands down. During the buying process they were extremely helpful. We were new to San Francisco so didn’t know the market at all. They gave us a good overview and asked lots of questions to determine what we liked, then showed us properties which met or nearly met it in order to really refine. This was very helpful because sometimes you don’t know what you don’t know, so by asking great questions, then showing us different options that we might never have thought of, it made the whole process more comprehensive without being overly long or frustrating (we’ve all worked with realtors who show us everything!) Once we had settled on what we wanted, we were only shown properties which met them. During the selling process, we had to relocate across the country quickly, so most things had to be done remotely and with the added complication of working with a relocation company for the sale. Bernie and Mike leveraged their combined experience and expertise to advice us on the best way to prepare for the sale of our home and helped us throughout the entire process. On our behalf, they took care of things that needed to be done in person; they worked directly with our condo association and outside vendors and kept us up-to-date on the progress. As a result, we sold our home quickly, with minimal stress, and for a great price to a couple whom we feel deserves the home we have loved over the years.